It all started with the Paper or Plastic? debate. A couple months ago, we decided it was time to purge items containing plastic from our home. We also decided that it's pretty much impossible, so we prioritized and started with the area of our home where food is stored & prepared. 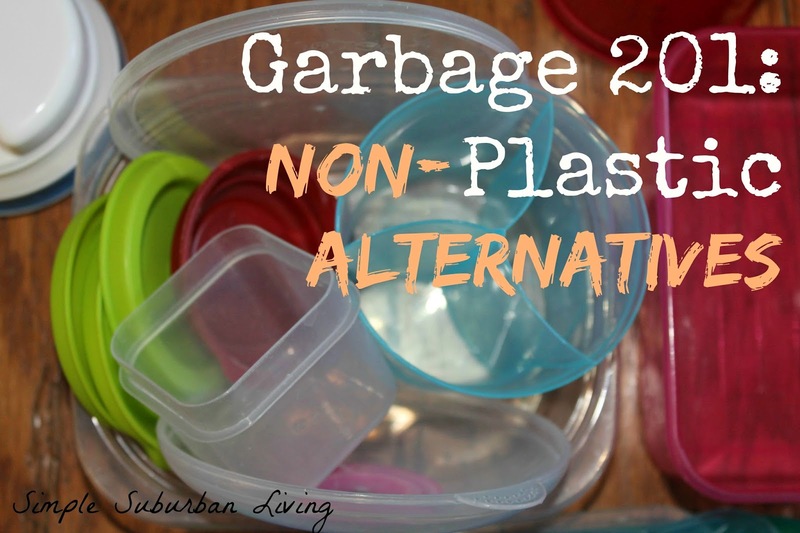 While we know it's a never-ending battle, I'm happy to say we did find some great non-plastic alternatives to use around our kitchen and food. After we recycled our plasticware, the SSL Family Dad and I took a trip to some of our local thrift shops. We just love utilizing thrift shops for a number of reasons. First of all, they are way cheaper than buying brand-new. But I also love buying second-hand items that didn't end up in a landfill somewhere. And they are almost always locally owned and we always try to support local businesses as much as we can. So thankfully, we found some stainless steel spatulas and glassware for 60 cents for each item. After we brought our pre-owned haul home from the thrift shops, we set a budget and hopped online to find non-plastic replacement items for our kitchen. We had a couple rules of thumb to follow. First, no plastic parts (as much as possible). And secondly, try to find items made in the USA (unfortunately this was extremely difficult). We also learned how to use some items we already have a little differently. And after two months of using these items, I can honestly say we are still very happy with each purchase we made. Here's what we found. Instead of plastic storage containers, which we had tons of, we now use Mason jars and glass storage containers. I have always hated the fact that you can't use canning lids again, so this is a great way to reuse your lids. 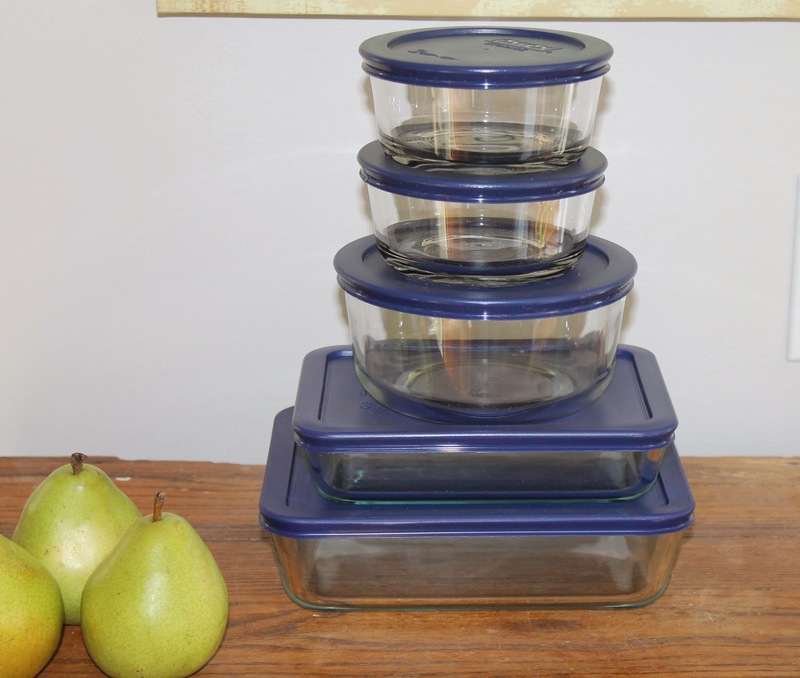 And although these Pyrex glass storage containers do have plastic lids, they almost never come in contact with our food. School lunches were a little challenging for us. We pack the girls' school lunches everyday in reusable lunch boxes, but every piece of food we packed was almost always wrapped in plastic or put in a plastic container of some sort. Thankfully, we found some nice alternatives to use. These stainless steel containers work perfectly for sandwiches. We just love these containers. We also found these waxed paper bags. We are amazed at how much food can fit into each bag, they are definitely big enough to hold a large sandwich. Since we no longer buy water in single-use plastic water bottles, the girls take stainless steel reusable water bottles to school. The only problem is the spout is still plastic.....still hunting for that perfect water bottle. 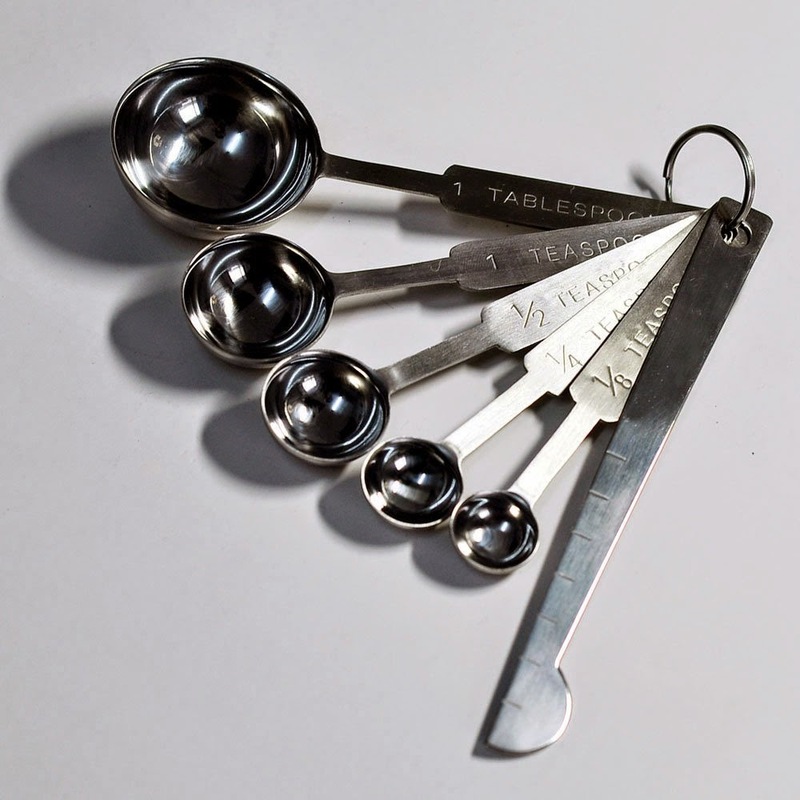 We just love, love, LOVE our new stainless steel measuring cups and measuring spoons. 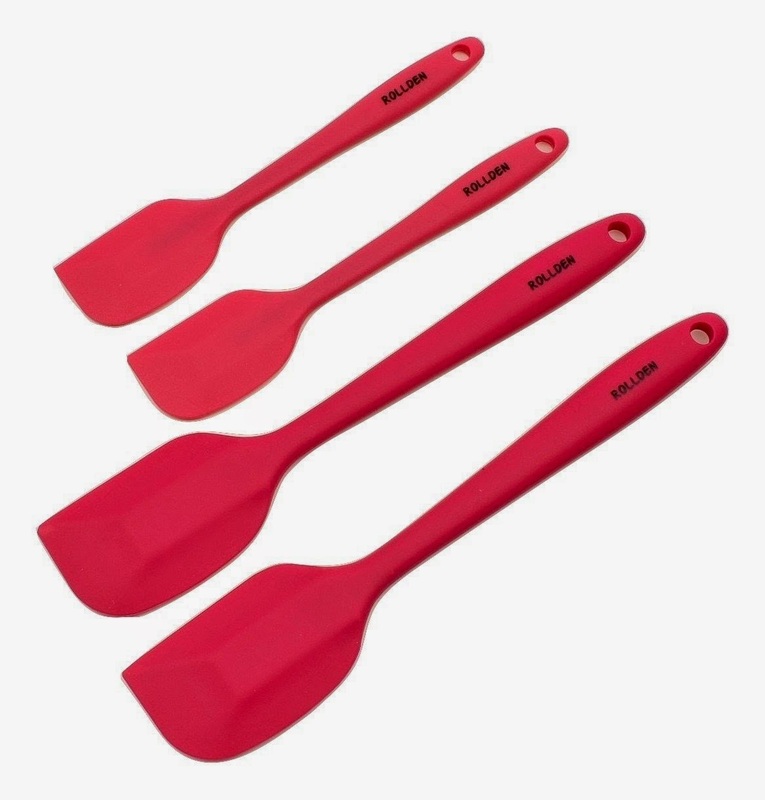 And these silicone spatulas are my first experience with silicone and they are wonderful. They have a steel core so they are very sturdy. There are also coated with silicone with zero seams so there are no cracks or crevices for food to get stuck in. 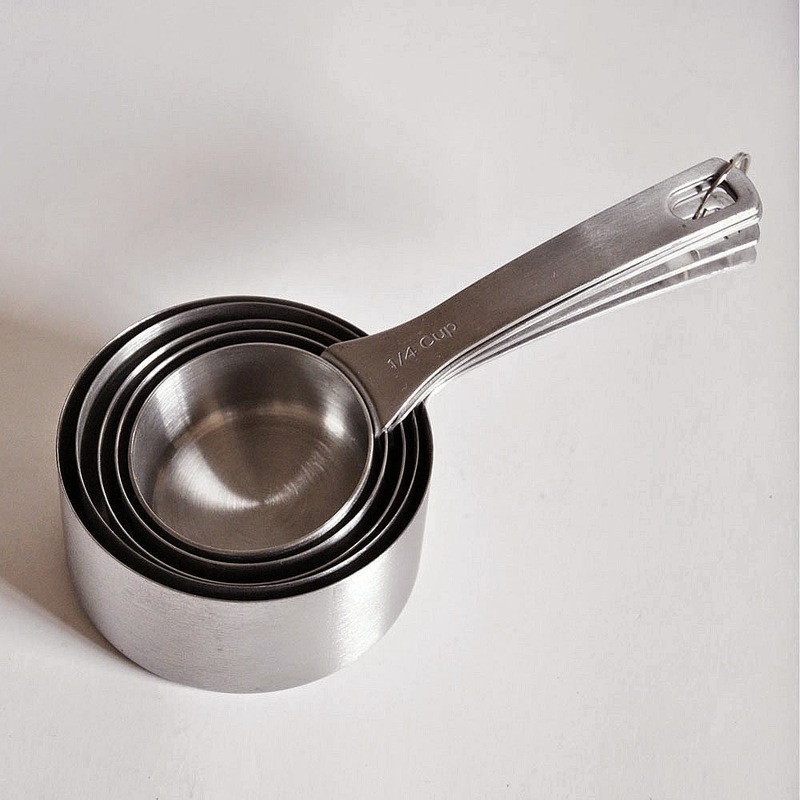 These stainless steel bowls are stackable and the sizes are all perfect for our needs. Here are some very well-made, heavy-duty stainless steel items (whisk, grater, & spatula) that we just love using everyday. The spatula is just gorgeous, so shiny I didn't want to use it! They all clean easily and the handles are sturdy and do not bend. And here is part of our cast iron cookware from The Lodge. We love our cast iron especially this brand because it's family-owned, made in the USA and a great price. 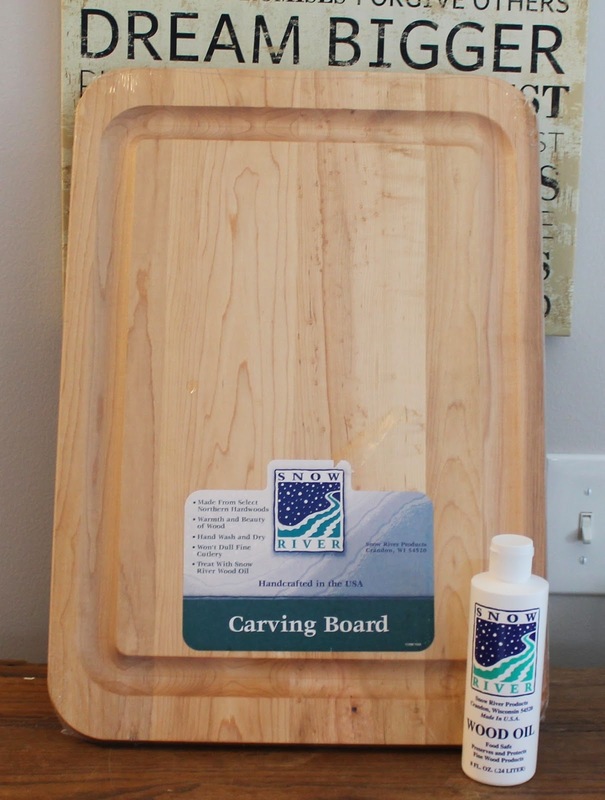 Our new cutting board is also made in the USA and especially beautiful when freshly oiled. I love keeping it out on the counter. This picture doesn't do it justice, trust me. We also included something fun for the kids that they just love, these stainless steel straws. They use them almost every single day. I wash them in the dishwasher, but they come with a long brush to clean them with, too. 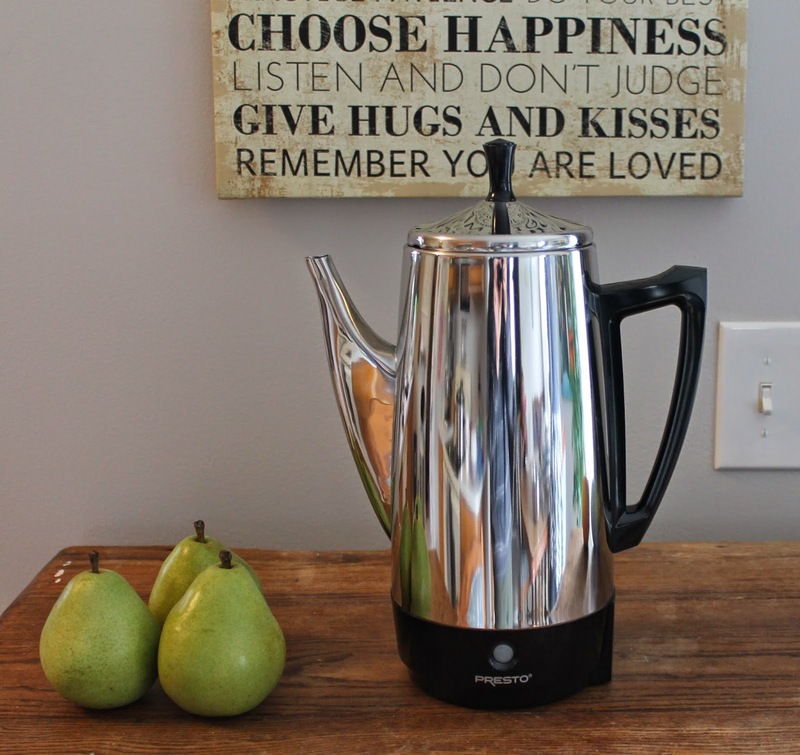 And last but not least, our favorite purchase is our new coffee pot. The entire inside is stainless steel. No plastic parts touching hot water. The other non-plastic coffee pot options were just way too expensive for us. This pot contains a stainless steel filter and included several paper filters that fit this model with an order form to order more filters. But we found our regular coffee pot filters fit just perfectly, we just have to pop a hole in them which is done very easily. This saved us money because their filters were a bit more expensive. I hope this article doesn't give anyone the impression we're too good for plastic. Or worse, too good to visit our friends and family who cook with plastic spatulas. We still have plastic items in our kitchen that we use everyday, lots of it. Most of our groceries come in plastic. The choice to be conscious about plastic is one we've decided to make for our family, and if our story inspires you, or the information helps you on your journey, awesome. Please, please let us know if you have any suggestions on these items or any others. Your comments are always welcome and appreciated! I would like to move away from plastic, too, but it does seem so overwhelming. I'm focusing first on repurposing/reusing what I have, but the next time I need to buy storage containers, I'm going to take a page from your book and buy something else (hopefully 2nd hand). I have been using mason jars for a while...it's amazing how useful they are! 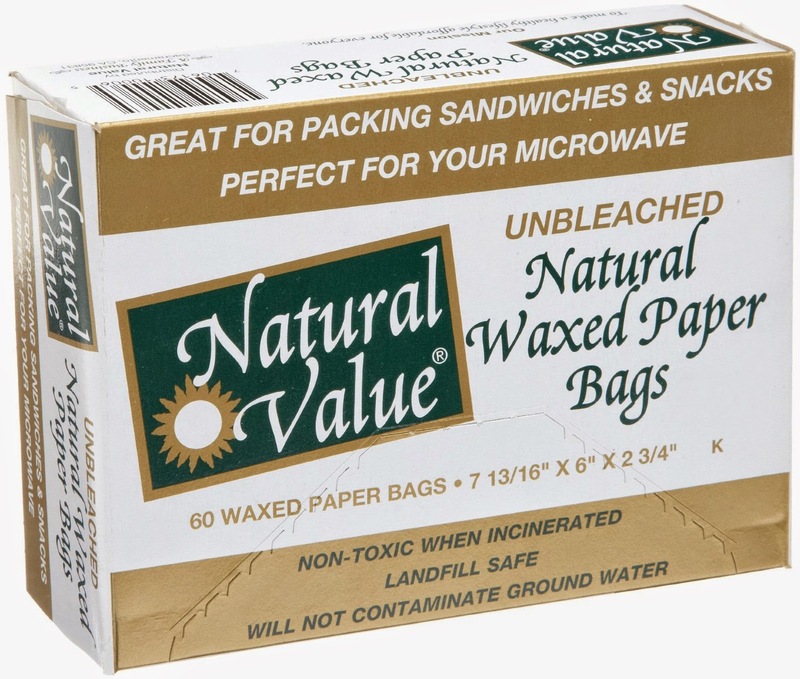 I have been using my empty mason jars more for food storage in fridge, and have been recycling wax paper liners from cereal boxes for years instead of buying wax paper. I just need to also keep finding ways to use coffee filters more! Thanks fo r the tips, My daughter and daughter in law are always encouraging me off my plastic! thanks for sharing over at Country Fair Blog Party! I've been cooking peppers and onions in the skillet on the grill a lot lately. I'll have to add jalapenos next time. Yum. Using good garbage disposal in the kitchen also helps in keeping out food waste.